The seven sacraments are Christ&apos;s gifts that provide us with his grace. A sacrament is a rite in which god is uniquely active. Also described as an effective sign of grace, given by Christ and entrusted to his Church, by which the life and love of God is shared with us. Sacraments enable us to believe the truths of his fatih, live according to his moral code, and grow in his gift of divine life. Infant Baptism is clebrated after Mass on Sundays. Please call the parish office at least one month in advance to make arrangements. Adult Baptism through the RCIA program. 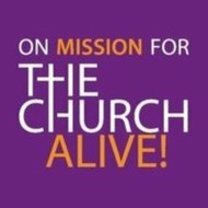 this process sees to the needs of adults who wish to become Catholic or wish to come back to the Church. Please contact the Pastor for details. The Sacrament of Reconciliation (Confession) is celebrated on Saturday from 11:00 am - 12:00 noon or until finished. Parish communal Penance Services are celebrated during the Advent and Lenten seasons. One may also call the Pastor to schedule an appointment for reconciliation. The Sacrament of Holy Eucharist is available at all Masses and for those who are sick and confined to home. Please contact the parish office and we will make arrangements for a home visit. The Sacrament of Confirmation is celebrated every year in the Religious Education program. Adults who wish to be confirmed should consult with the Pastor to discuss the procedure and options available through the RCIA process. If you or a family member has already received the other Sacraments of Initiation, and you are currently practicing your faith, you may be able to arrange for individualized classes. Contact the pastor for more information. Those who wish to marry should contact the Pastor at least six months in advance of the desired date. those who are married civilly and wish to have their marriage validated in the Catholic Church should contact the Pastor. to see the Diocese of Pittsburgh&apos;s call to Priesthood website. This Sacrament of the Anointing of the Sick is available at any time for those who are chronically or seriously ill. Please call the Parish Office to make arrangements. A service for Anointing of the Sick is conducted in the fall and the spring.